UnTour’s Shanghai food tours have been lauded by The New York Times, Travel + Leisure, Monocle… well, everyone really. Now, the crew is bringing its gluttonous walks to Beijing. Finally, right? We’re clearly biased, but isn’t Beijing cooler than Shanghai anyway? City loyalties aside, here’s how it works: You meet your guide at a designated location in the hutongs, and then he or she takes you to five different restaurants. If that sounds like a lot, it’s because it is. 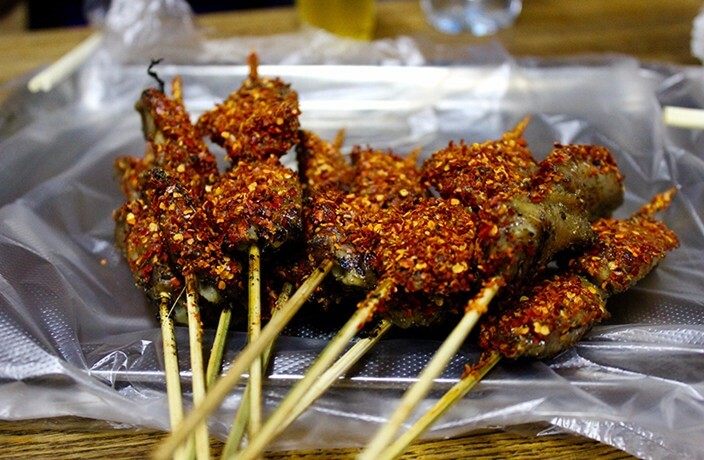 But the inevitable bloating you’ll experience afterward is worth it – UnTour has scoured Beijing’s restaurants for the tastiest and most authentic local dishes, and where you end up may surprise you. Guides are also on hand to explain the history of every dish, so even seasoned locals may learn a thing or two. Both dinner and breakfast tours are available (RMB400 and 350 respectively, for more information or to book, visit untourfoodtours.com). Here's a roundup of things we've tried this month – for journalism, for research, for you, readers. All the latest restaurant openings, closings, new menus and more.